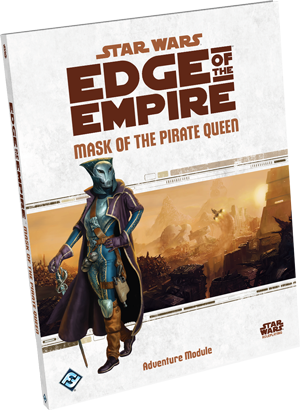 Fantasy Flight Games is proud to announce the upcoming release of Mask of the Pirate Queen, an adventure for the Star Wars®: Edge of the Empire™ roleplaying game! Explore the jungles of an Outer Rim paradise. Slice into the networks of an interplanetary crime syndicate. Fight your way onto a pirate ship. Battle a seasoned pitfighter while thousands of spectators look on – all in pursuit of the nefarious, cunning, and powerful Pirate Queen. You never know what tough deals you'll make, what underground contacts you'll meet, or what illicit deeds you'll perform in this fast-paced bounty hunting adventure. The Pirate Queen leads an all-female criminal organization known as the Veiled Sorority that predates the Clone Wars. Non-females of any species can join the sorority, and most of the lower-ranking members are male, but only females can hold leadership positions. The Pirate Queen herself remains anonymous to all but her most intimate counselors, always wearing an ornate, high-tech mask to maintain her anonymity – which is more necessary now that the infamy of the Veiled Sorority is growing. The trademark criminal practice of the Veiled Sorority unites benevolence with ruthlessness. Preferring to take entire vessels rather than just cargo, a band of Veiled Sorority pirates will board a ship and offer to be merciful if the crew surrenders without a fight. If anyone refuses or offers resistance, then every single person aboard the ship could be executed. The Zann Consortium, headed by a cunning former protege of Jabba the Hutt, is behind the bounty posted for the Pirate Queen. Having recently become the Veiled Sorority’s favorite target, they have lost too many ships, cargo, and lives not to seek retribution and revenge. Operating primarily in the Outer Rim, the Zann Consortium has made a windfall feeding on the conflict between the Rebel Alliance and Galactic Empire, extorting neutral planetary governments by offering military protection for their worlds. Those worlds that refuse find themselves attacked by domestic terrorists and plagued by corrupt government officials who have been bought by the Consortium. In agreeing to hunt down the Pirate Queen, you and your companions are willingly becoming pawns in the vicious interplanetary rivalry between these criminal syndicates. Neither organization has the law on its side, and you’ll often have trouble telling the good guys from the bad. You might earn an enormous profit and gain powerful underworld contacts in this dangerous affair, but any mistake you make has the potential to get you killed. The adventure begins on the planet Saleucami, where days are long, hot, and lazy, and nights filled with licentious and sinister activities. 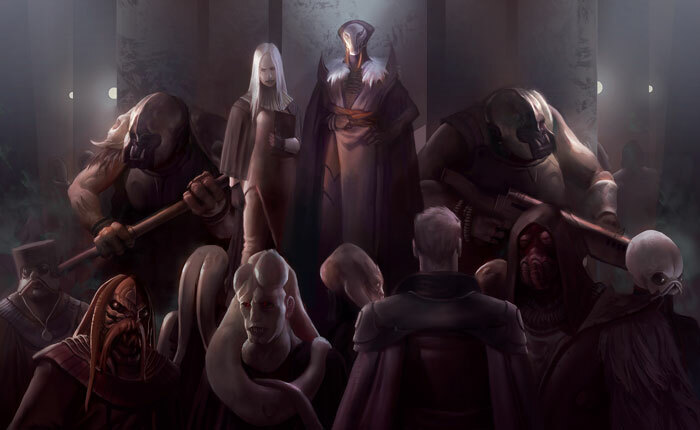 Since it was founded by Pantorans, Saleucami has become a melting pot of different species – Twi’lek, Gran, Weequay, Human – where liberty is highly valued. 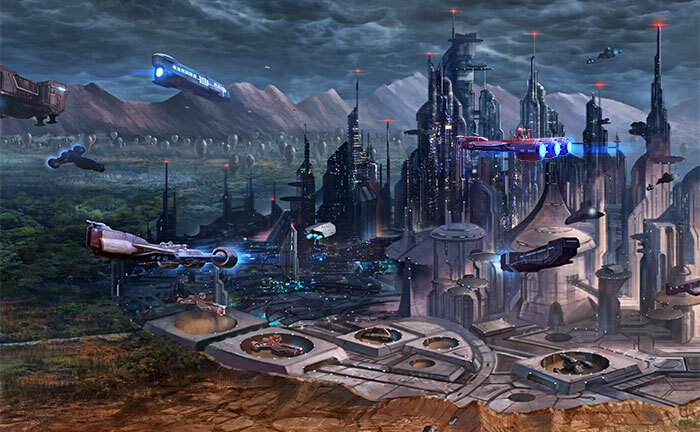 Its capital city, Taleucema, is a major spaceport, filled with cantinas, gambling dens, merchants, and all forms of rest, relaxation, and crime. All of Saleucami is covered in expansive meteorite craters. Taleucema occupies the largest crater, most others are now home to lush, diverse jungle ecosystems. In the days of the Republic, scientists from across the galaxy came to investigate the species of the planet, but abandoned their research stations during the Clone Wars. Separatists then came and constructed hidden bases among the thick tropical forests. Now both scientific and military outposts are occupied by independent mercenary and criminal organizations. Animal predators are the least of the troubles that await you in the humid jungles of this Outer Rim world. 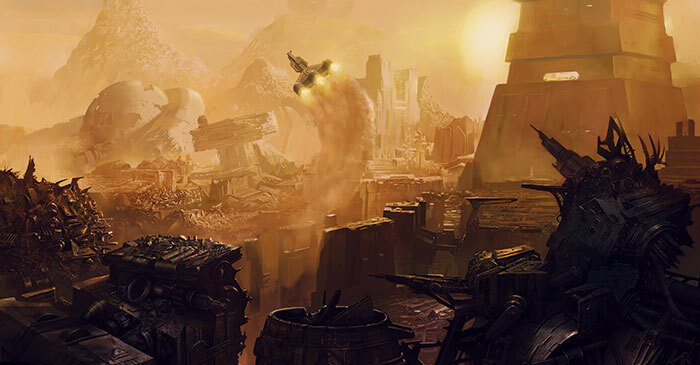 In the course of your chase you may also visit Ord Mantell, an infamous smugglers’ haven and home to treacherous and lucrative Blockade Runners’ Derby. Fiercely independent, the planet fell under the sway of Darth Maul’s criminal empire during the Clone Wars but resisted both Separatist and Republican occupation. While Mantellians are welcoming and friendly, they are also so mistrustful that they tend to use pseudonyms when dealing with strangers – a side effect of regularly doing business with smugglers, bounty hunters, and other criminals. The capital of Ord Mantell, Worlport, is a near-lawless enclave where almost anything can be bought and sold, at once seedy and opulent. Outside of the capital, however, the planet isn’t heavily populated. South of the capital runs a shoreline, the Coral Coast, littered with debris, home to scavengers and junk dealers. To the north lie the scraplands, a smog-cloaked field where the galaxy’s garbage has been accumulating for thousands of years. Numerous villages exist in this wasteland, including a settlement of Jawas who somehow relocated from Tatooine. Hidden deep in the ancient detritus there are nevertheless unexpected treasures to be found. With a little luck, you and your companions will unearth some of them. 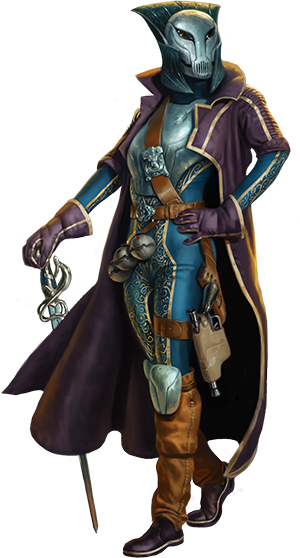 You don’t need a Bounty Hunter in your group to participate in the pursuit that’s at the heart of Mask of the Pirate Queen. Characters of any career, from Smugglers and Technicians to Force-Sensitive Seekers and Spies of the Rebel Alliance, can join in on this lucrative and risky job. Designed primary for Edge of the Empire, the adventure can be easily incorporated into an Age of Rebellion™ or Force and Destiny™ campaign. Mask of the Pirate Queen offers players a chase across the galaxy filled with suspense, dangers, and sudden surprises. For Game Masters, it provides detailed gazetteers on Saleucami and Ord Mantell, numerous new adversaries, and plenty of guidance for what to do when your players inevitably do the unexpected. In this underworld struggle between criminal organizations, it’s impossible to tell who, if anyone, is really on your side. The bounty hunt will begin in the fourth quarter of 2015. In the meantime, visit the Edge of the Empire minisite to learn about other adventures and supplements for this Star Wars roleplaying game.